Jewel Hot Pink 4" x 9.5" Cellophane Bags. 100 bags per pkg. Bag background is clear. Triangular sides on these cello bags give them a gusset so they will expand to hold more contents. Food safe cello bags. 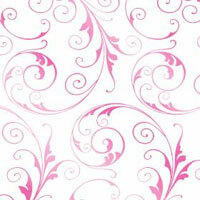 Pretty design for cellophane gift bag needs.